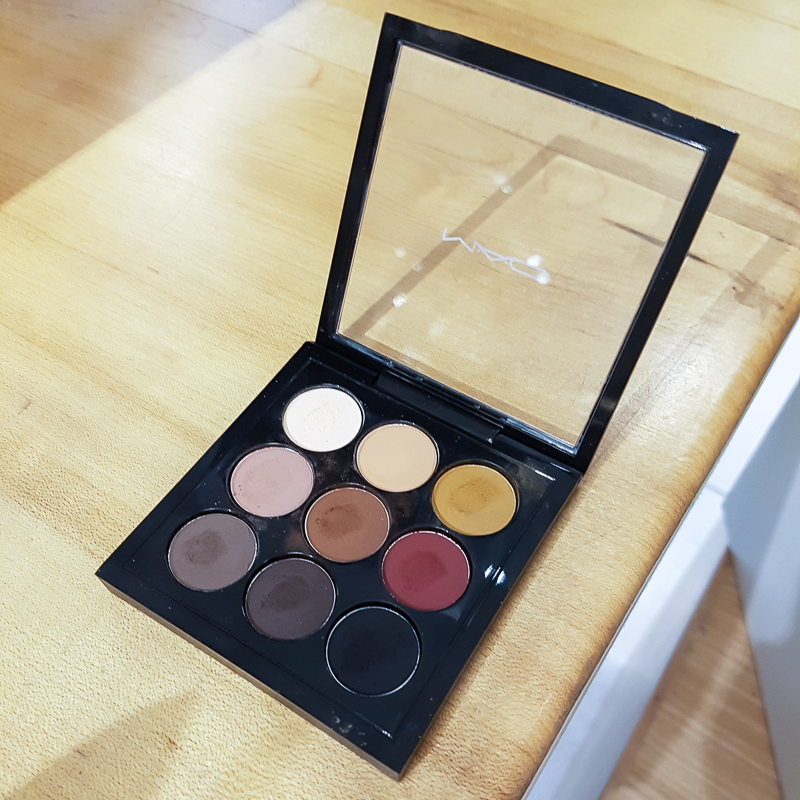 MAC Semi Sweet Times Nine Eyeshadow Palette includes some of my favorite colors - rich, chocolatey warm browns and that gorgeous mustard shade - and in matte! The formula/texture of the shadows isn't too dry or chalky either, and I do think they should perform well over a decent primer. 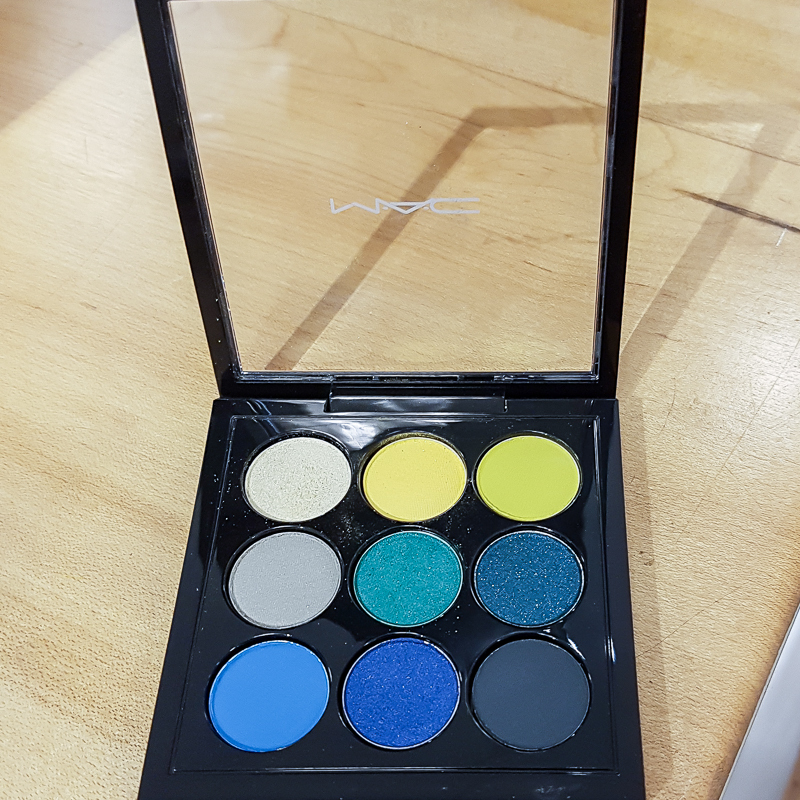 MAC Tropical Cool Times Nine Palette, on the other hand, I don't even know what to say. 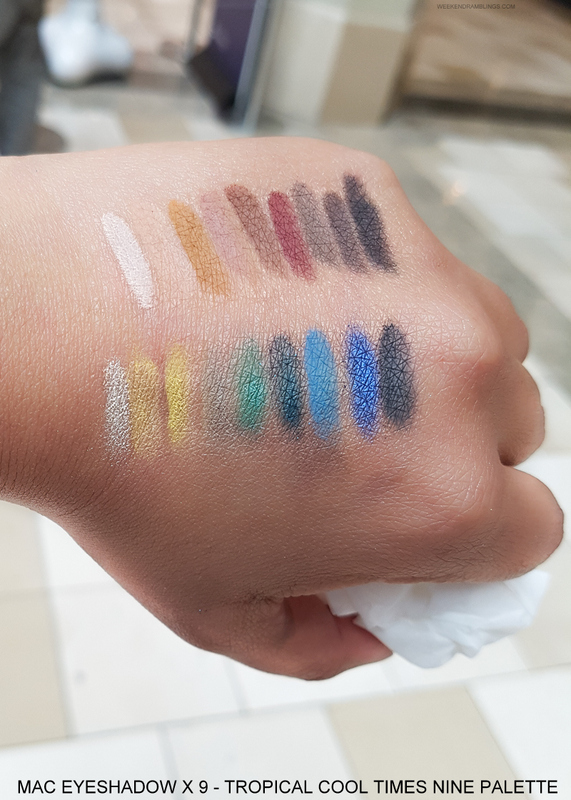 My opinion is based on swatching the tester at my local Nordstrom - disclaimer in case some MAC-obsessed person gets offended over this - but the eyeshadow were just so powdery, chalky, and just impossible to apply. The colors included in this palette aren't what I would reach for, but they are such fun, bright mattes, and I do wish the quality was better. 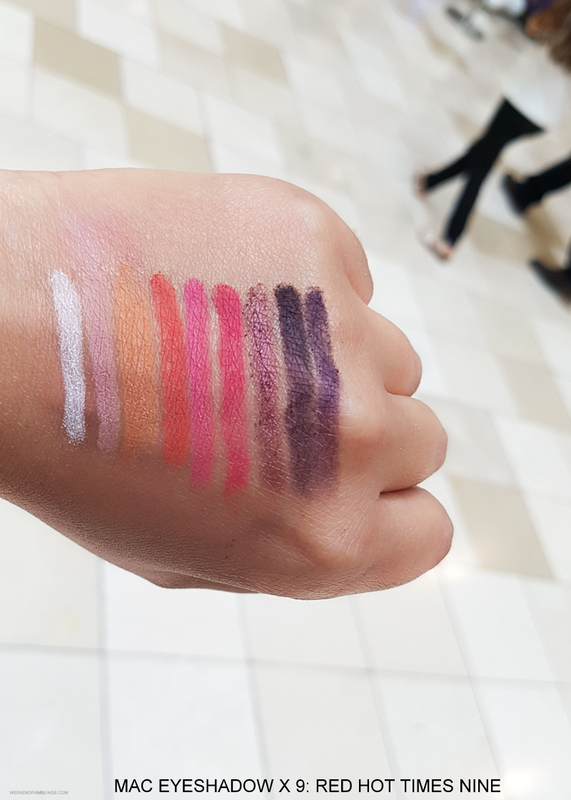 Again, I have only swatched a tester, so if you love the colors, do give this a try in store. 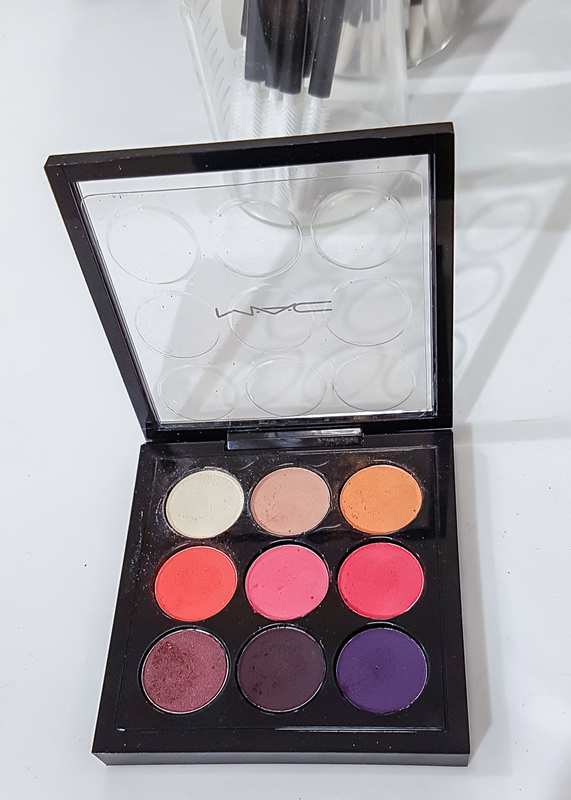 The MAC Red Hot Times Nine eyeshadow palette falls somewhere between the earlier two palettes in terms of quality. I love the colors in this palette - bright pops of pink and orange - mixed with gorgeous plums, purples, and browns - and there is a nice mix of metallics and mattes. The eyeshadows don't seem the easiest to apply, but I do think they might be workable with a bit of patience and of course a good eyeshadow base. 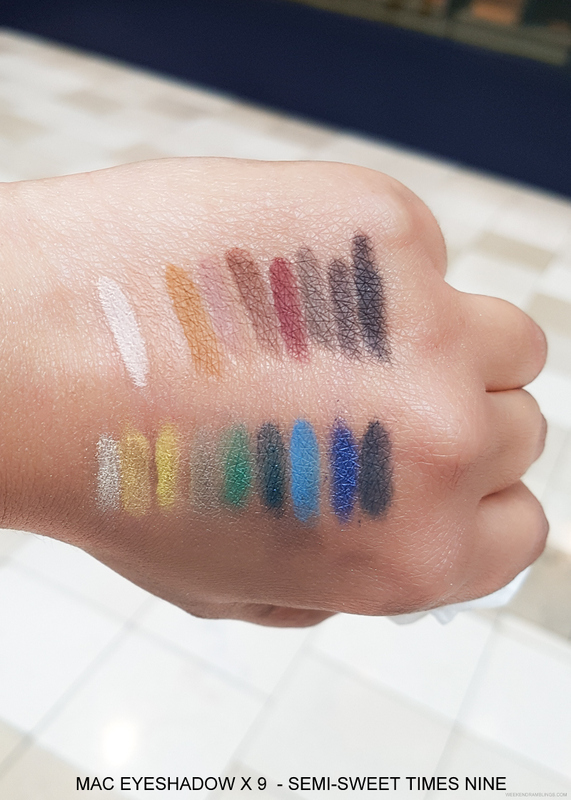 Overall, I find the new arrivals to the MAC eyeshadow x9 range a mixed bag - good colors and a nice mix of textures, but I would want a little (or a lot in at least one palette) more in terms of eyeshadow quality.